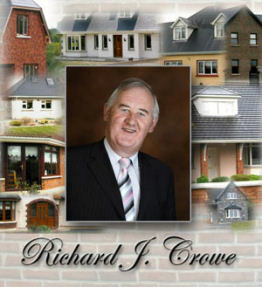 Welcome to Richard J Crowe, Real Estate website. I operate a very successful and efficient business (established 2002) on the outskirts of Tipperary Town, servicing the surrounding areas of Tipperary West and Limerick East. Due to a large number of properties on the books, the property listing is up-dated regularly on this site offering you an opportunity to a secure future by buying or selling property, be it a town or country home, country cottage, shops, licensed premises, development land, farm land or sites you desire. Richard Crowe is always available to discuss all of your property requirements personally and in confidence, therefore providing you with a very professional service. Copyright R. J. Crowe All rights reserved.